Craft Renovations take the stress and hassle out of your renovation by offering a complete project management service. We take your plans and manage every aspect of the build until it is completed. If you don’t yet have plans drawn up, we can recommend our architect partners who specialise in older home renovations. At the start of the renovation, we will provide you a detailed project plan. We will keep you fully informed and involved with regular client meetings and updates on costs, timing and next steps as the job progresses. Craft Renovations will manage and coordinate all the subcontractors needed for your job, bringing them in as needed. We have strong partnerships with quality tradesmen, some we have been using for over 15 years. From electricians and plumbers to tilers and roofers, we’ve got it covered. For your peace of mind, their workmanship is covered under our Craft Renovations Guarantee. 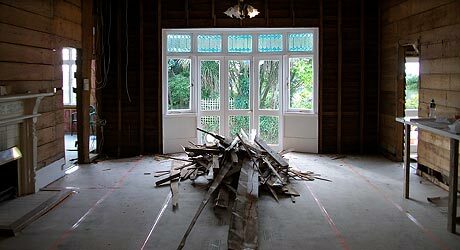 We enjoy a challenge, and no renovation is without them. If problems do crop up and changes need to be made to the renovation along the way, we will problem solve and find a solution with you. Throughout the build, we will actively look for ways to add value to your home renovation plans.